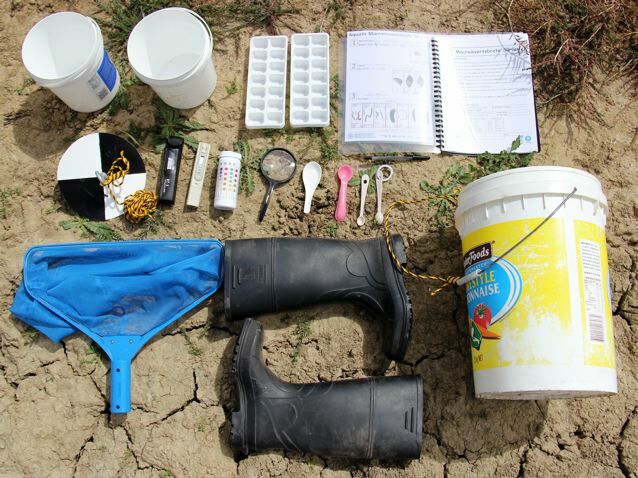 The DIY water testing kit, including big buckets, little buckets, ice-cube trays, teaspoons, magnifying glass, pH strips, homemade Secchi disk, EC meter, pool net, boots, ID charts and recording sheets. If you have a toddler in attendance, you may consider a change of clothes for yourself and toddler. 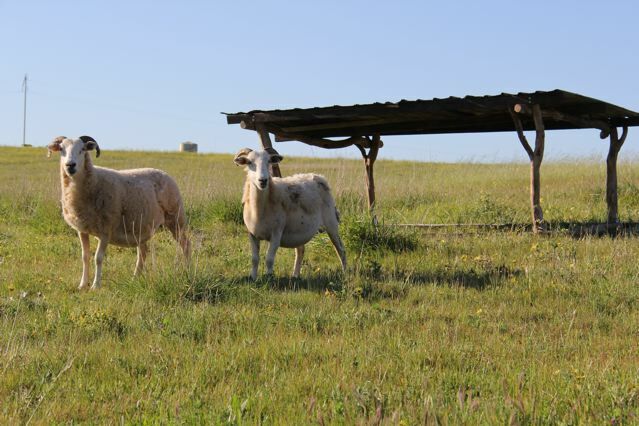 Inspired by permaculture’s commitment to observation, over the last couple of years, we’ve become enthusiastic/compulsive gatherers of data about our farm. Everything we can think of to measure, we’ve tried to measure. Now, as we scale up our interventions, we can begin to track our impact and refine our management accordingly. 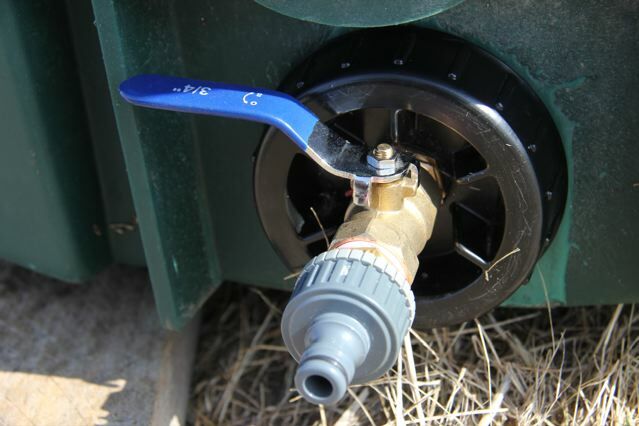 As part of this, we’ve started a seasonal water quality testing program to monitor changes in the quality of our catchment as we revegetate the catchment and manage grazing more intensively. macroinvertebrate populations, the presence and composition of which is also an indicator of pollution levels (gathered with buckets and nets, and sorted with teaspoons into ice-cube trays). 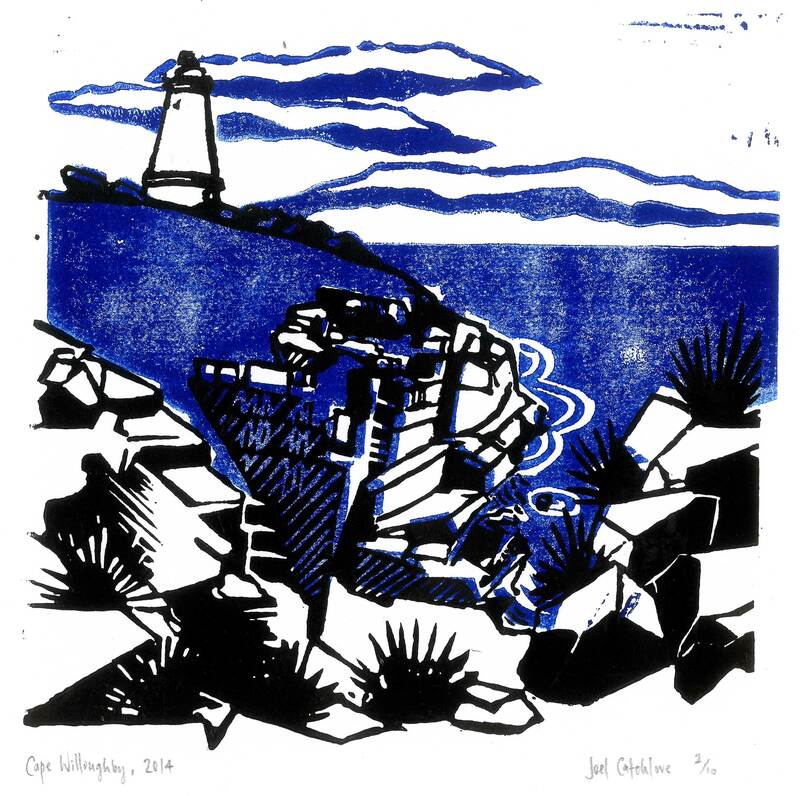 As part of my current experimentation with linocuts, here’s a two-colour imagining of Cape Willoughby, Kangaroo Island, inspired by a visit earlier in 2014. I need to work on my registration to make sure the prints line up more precisely! 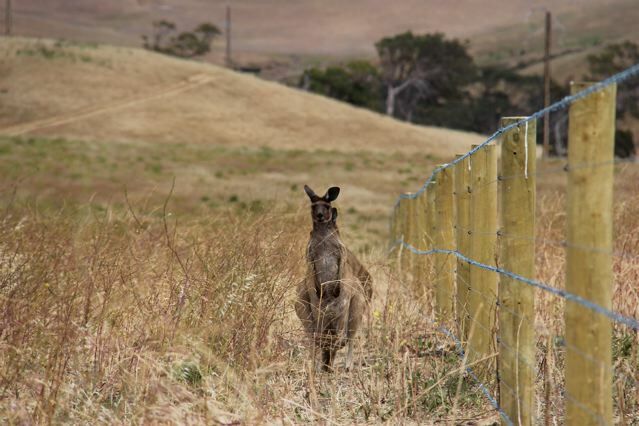 A new fence and a kangaroo. Neither are particularly concerned about each other. Stile Design #1, the crossed tread option. After a year and a half, we’ve finally got to developing a visual identity for the farm. While our working name for the farm, “Trees, Bees and Cheese”, is more conceptual than place-based, we wanted the logo to reflect some of the distinctiveness of the farm’s landscape. Yep, there is wind and rain, but there’s also the symphonic light that rolls across the hills and the late afternoon haze that reduces the sequence of valleys into golden layers of theatre scenery. There are the rolling, low clouds that we ache for in late summer and autumn, then look forward to farewelling by late winter. These tumbling clouds also reference the nearby sea. The lone tree and falling rain suggest how the landscape has been reshaped over the last 180ish years through clearing and subsequent erosion, but also remind us of the resources available in restoration when we harvest rainwater and gather seed. Perhaps in the future we might be able to add some more trees to the logo to reflect the changing reality of the property! We also have a black-and-white option, particularly good for stencilling farmy things. We’d love to hear what you reckon, and if you have any ideas for tweaks or adjustments! Our passion for growing trees has in many ways outstripped our capacity to grow them, and so our growing space has become overrun with foam containers balancing precariously on the edges of hard rubbish chairs, bricks and scraps of wood. 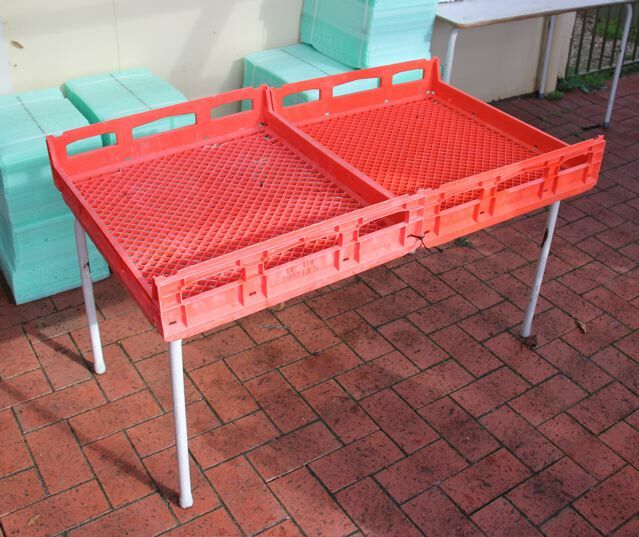 Some months ago, we claimed some old school tables from a local school’s throw-out pile, and thought they might be good for more growing space. Predictably, the manufactured timber tops very quickly fattened in the moisture, buckled and then started getting slimy.